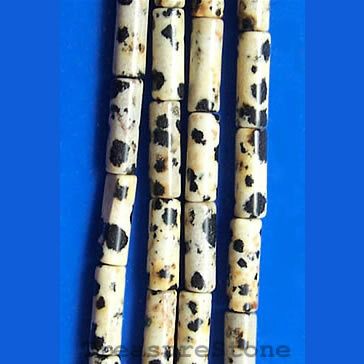 Bead, dalmatian jasper, 4x13mm tube. 16-inch strand. 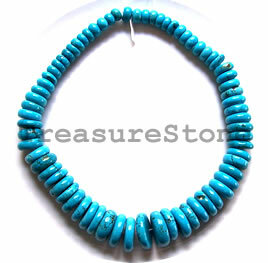 Bead, dyed turquoise, 10x6 to 23x6mm graduated disk. 16-inch. 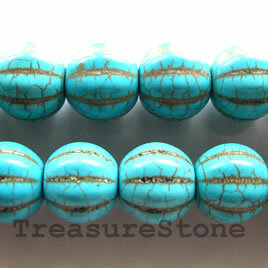 Bead, dyed turquoise, 12x13 mm pumpkin. 15.5-inch strand. 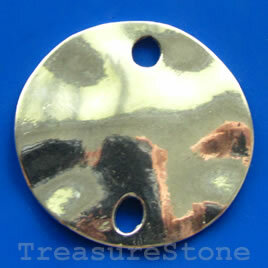 Pendant, silver-finished, 50mm. Sold individually.